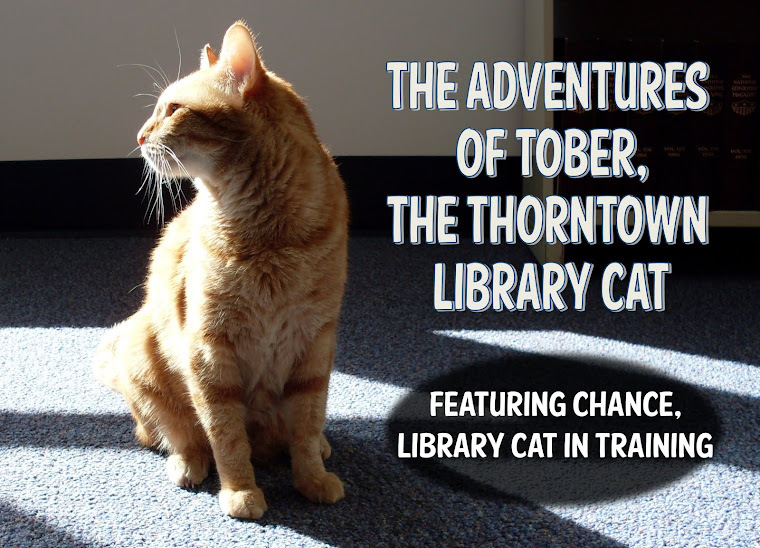 The Adventures of Tober, the Thorntown Library Cat: Critters! Firstly, I want you to know that I have once again survived Festival of the Turning Leaves/Book Sale/Carpet Cleaning/Mess Week! 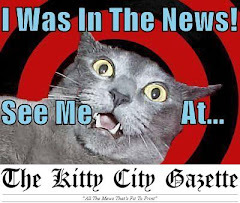 The weekend carpet cleaning team was very nice and did an excellent job, and everything was great until my staff came in on Monday all pooped and crabby. But more about that in another post. I promised to tell you about some non-human intruders in my last post! So our concerned library patron brought Mr. Turtle in so my staff could admire his cuteness, then deposited him in front of the library, since that's where he seemed to be heading. My next post will feature a photo of paint drying. Our other intruder came later that day, and she was something special! 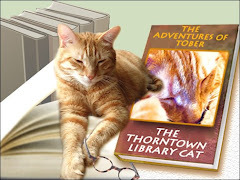 Now, normally I am the only animal allowed in the library, except for the occasional reindeer, Not-Tober cat, turtle, baby eyes-not-yet-opened raccoon, fennec fox, bullfrog, owl. . . um. Huh. Well, really I am usually the only animal. Anyhow, we were visited by a seven-month old Woofie named Minuet who is an ICAN dog in training. ICAN stands for Indiana Canine Assistant Network. 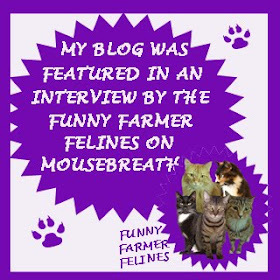 When Minuet grows up, she is going to be a working dog and help people. This is from the ICAN site: "ICAN trains dogs in a variety of skills that assist children, adolescents, and adults who have physical and/or developmental conditions such as autism, diabetes or mobility-related disabilities." Isn't that awesome!?!?! I'm so glad Minuet got to visit. She was very well-behaved (for a seven-month-old Woofie), especially with all of the staff admiring her and (barely) resisting their urges to pet her. Award-Winning Floatiest Float Pictures coming in the next post!! glad the turtle is safe..
You actually DO get a lot of critters around your library, don't you Tober? It must be kind of exciting... and a little bit annoying at the same time. You have more excitement in your library than we have here. I just can't imagine those critters who come to visit you. Do they all want to be library turtles and dogs, like you are a library cat? I hope you give that turtle something to eat now and then. They like meat like ground beef, and also strawberries. I don't know about apples or cat food. Take care of yourself, Tober, as I send good wishes to you and your extensive staff. Tober! With all the excitement, how can you get any Bossing done? Tober, I think you need to write up some policies for those humans to follow. A turtle is ok, but I'm not sure you want to compete with that woofie for treats and cuddles! Thank goodness the turtle was saved! Hopefully he stays out of the road now. You shared your library with a woofie? We aren't sure we would be so generous. You are looking as handsome as ever Tober! Now I've got a hankering for turtle soup. It's good that you were so tolerant of the dog and the turtle, Tober. It shows your magnanimous side.